If you’ve got yourself a brand new Windows Phone 8 smartphone and you’re wondering how to make the most out of it, you’ve come to the right place! There’s always a couple of not so apparent settings you can change and tweaks you can do to get the most out of your phone and we’re going to tell you some of the best Windows Phone 8 tips and tricks here. These couple of fairly simple tips can make both your current phone better to use or help you get used to the switch if you’ve come from another platform. So without further ado, here’s the top Windows Phone 8 tips and tricks! If you’re one of the people who have always been using Windows Phone, getting your contacts back should be no problem at all. Once you login to your Microsoft Account on your new Windows Phone 8 device, all contacts and info should get synced automatically. Even if you’re coming from a phone didn’t run on Windows Phone, there’s 2 easy ways to get your contacts on your new phone. 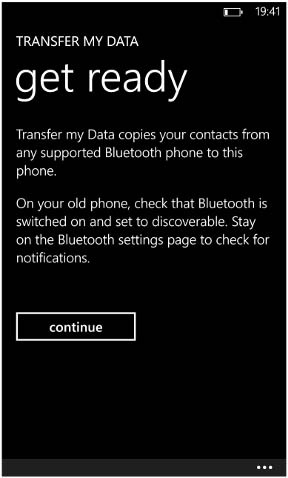 Either you can copy all contacts to SIM and import them onto the new device, or you can use an app called “Transfer my Data” that lets you copy both contacts and text messages to your new phone via Bluetooth in a matter of minutes. Windows Phone 8 has a built in setting that lets you squeeze that extra bit of time from your battery. In Battery Saver mode, a heart appears in the battery status icon. Basically what happens is, the OS shuts off all background tasks and syncing, plus the screen brightness is turned down. So to update apps you have to open them manually and it’s the same with email or IM clients like WhatsApp as well. This setting can be found under Settings>Battery Saver, it’s recommended to check the option to turn it on only when the battery level is low instead of all the time or from that time until the next charge. Battery Saver turns on automatically if set to at 20% battery. Yes we know, not many use Bing and the little magnifying glass icon on your phone never gets pressed. But it’s got another handy feature built in other than just web search. Click the eye icon at the bottom, snap a picture of the text you need to translate, select “translate”, select the language you want to see it in and if everything is done right you will be able to figure out if that sign really means what you think it does. If this sounds like too much of a hassle, you can also get a Bing Translator camera lens which translates text on the fly upon pointing the camera to it. This can be also done via the camera lens app. Windows Phone 8 has one of, if not the best email integration in the mobile OS market. No matter what email service you use, chances are you can receive mails on your phone wherever you are, if networks permit of course. Once you’ve added your email accounts via Email+accounts in the settings menu, you can go to any one of your email inbox, click the little ellipsis icon on the bottom right and link multiple accounts together via the link inboxes option. This way you can get all your email at one place without having to open multiple apps. If you’ve got young kids around who just won’t stop asking for your phone, you can simply set up a new feature in Windows Phone 8 that let’s them access only parts you deem appropriate. Go to Settings>Kid’s Corner to activate and configure it according to your liking so you can restrict kids or anyone else for that matter from accessing personal stuff like emails, contacts and messages. Once everything is set up, simply swipe left on your lock screen and then up again like a usual unlock to see the restricted Start screen that you’ve set. One of the common complaints I’ve heard is that people are not able to find symbols and letters with accents on the Windows Phone 8 keyboard. On phones with English (India) keyboard, there’s a Rupee symbol instead of a Dollar one and it’s nowhere to be found, at least that’s what it seems. There’s a simple way of getting more symbols to use, simply long press an existing symbol to get more options of similar type. For example, long pressing a currency symbol will bring up more currency symbols, long pressing the letter a will bring up similar letters in other languages. Furthermore, you can switch installed input languages by simply tapping the “ENG” key on the bottom left. Another common complaint from non US or UK users is that even though they speak in English, their smartphones are not able to understand it and voice control is basically rendered useless. It’s the same case with Windows Phone 8, but you can overcome this with a simple setting. 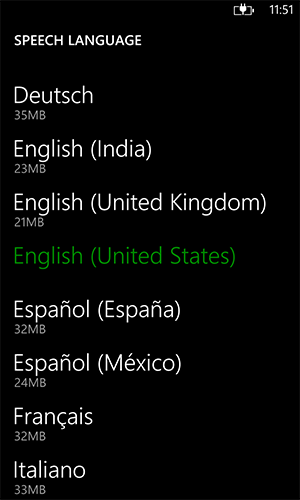 Go to Settings>Language+Region to set your location as the place you’re in, then go to Speech under settings and set it to say, English (India). If the speech pack is not installed, download and install it. 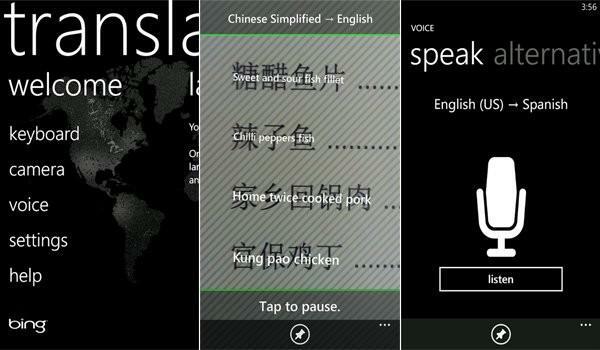 Once set, you will be able to control the phone with your voice since the speech packs are tailored for local accents. If you’ve linked your Twitter, Facebook, LinkedIn and whatnot accounts to your Windows Phone 8 device, chances are there’s way too many people in your People hub. This can prove cumbersome when just trying to call up a friend. Instead of digging through hundreds of contacts, you can filter what contacts should should show up in the People hub via settings and set only your phone contacts to show up. You can easily copy and paste text from anywhere, including a webpage onto a message or email by tapping a word and dragging the arrows to encapsulate all the text you want to copy. Clicking the briefcase icon copies the text onto the clipboard and you will be able to see the briefcase icon wherever the onscreen keyboard pops up. Tapping it again pastes your selected text. If you’re People hub contains a lot of contacts and you want to get to a particular one, simply tap the letter that divides two sets of names to bring up an onscreen alphabet. You can then tap any letter to directly jump to contacts with that letter. This also works in apps that can access your contacts and applies to the all apps screen as well. Windows Phone 8 gives you the option to show your caller ID or not when you make calls. Go to Settings>Phone to select whom you would like to show your caller ID to, you can select amongst no one, everyone, or just your contacts. Good for prank calls, isn’t it? When in doubt, press and hold! The final and perhaps most important one of the Windows Phone 8 tips and tricks to keep in mind is press and hold. If you’re looking for an option but can’t seem to find it, chances are it’s hiding behind a long press, so press and hold a relevant item on the screen, it could bring up something you’re looking for. A lot of settings and options can be brought up with this, and you should use it whenever you’re stuck somewhere. Those were some Windows Phone 8 tips and tricks that should help you get the most out of your phone. We hope it was of some help and would love to hear from you, do let us know if there’s something we missed too!